AVGD: Miiverse And What It Has To Offer To Gamers! Social Media Just For Ninty Fans! Miiverse might be just another social media outlet, however it is unique in that it is one in which all members are fans of Nintendo and can talk freely about anything Nintendo related. There are many different benefits to Miiverse, first gamers can easily receive help if they get stuck in a game they are playing by asking for help in the appropriate community, but must use a spoiler tag to avoid having the message deleted. Second it serves as a great way of gathering Wii U friends to play in online games such as Monster Hunter 3 Ultimate. These benefits are quite good, but that certainly isn't everything, you can get updates about upcoming DLC or software/hardware updates among other things throughout the different communities which are great features that Miiverse possesses as well! One of the more interesting features is the the ability to post drawings via the Wii U Gamepad on Miiverse and let me tell you some of the artists are absolutely incredible! You can also use the drawing feature to write posts with your own handwriting to give it that personal touch! 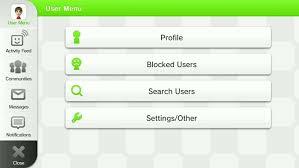 Overall there are alot of benefits to gamers in Miiverse, however some smaller communities get spammed and some users will report completely fine posts which the Miiverse bots will automatically remove, but overall it's a much more family friendly and enjoyable social media outlet for gamers than most social media networks are! We hope you enjoyed this feature and would love to hear your comments about our feature and what you think of Miiverse in general! Re: AVGD: Miiverse And What It Has To Offer To Gamers! Miiverse is one of my favorite features of the WiiU. Its a great community, and apart from the strict admins I have no problem with it. Unfortunately only Nintendo Land, Resident Evil Revelations and NFS Most Wanted are the only games ive seen that integrate miiverse in an intresting way. Nintendo needs to integrate Miiverse better in their future Wii U games, but it's still amazing as it is! 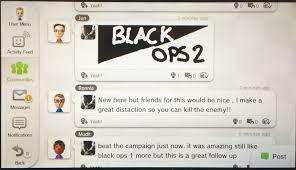 I agree that Miiverse is a fun place to chat and plan game sessions with friends! Miiverse was ruined with Wednesday's update. whats wrong with the update? The update also broke the in game screenshot feature for some games in Miiverse lol.